In March 2018, Dr Macgroarty chaired a Sports Knee Cadaver Course in Sydney with world renowned knee surgeon, Dr Merv Cross. ACL reconstruction was the primary focus of the labs, with time spent looking at new short graft hamstring sparing techniques as well as BTB ACL reconstruction techniques. Dr Robert Gordon, clinical and research Fellow to Dr Kelly Macgroarty, recently delivered a presentation at the 2017 Combined Orthopaedic Knee Society meeting, held at Noosa Heads, on “TLS Short Graft ACL Reconstruction – Concepts and Early Surgical Results”. The short graft ACL reconstruction technique used by Dr Macgroarty has been developed over the last 10 years in Europe. There have been more than 40,000 operations of its kind across the globe. Dr Macgroarty was one of the first people in Australia to adopt this innovative technique for anterior cruciate ligament (ACL) reconstructions. In traditional ACL reconstructions, two Hamstring tendons are harvested and used to create a long, slim graft that is secured in place in large bone tunnels, by either a direct screw into the graft or by a suspension device that sits on the outside of the bone. The graft diameter obtained is often less than 8mm and the types of fixation have a similar strength to the forces that go through the ACL in normal walking. With the short graft Tape Locking Screw (TLS®) technique, only 1 Hamstring is taken (in 90% of cases) and wrapped 4 times to create a shorter, much larger diameter graft averaging 9mm. It is then fixed in place inside the bone with a screw-tape interface which is 3 times stronger than the traditional fixation. The larger graft diameter has been shown in studies to reduce the chance of re-rupturing the graft in the future and the superior graft fixation allows for early walking and strengthening to begin, which in turn has a multitude of benefits. There are major benefits for the patient from sparing a hamstring, including decreased donor site morbidity, improved speed of return of hamstring strength, preservation of future graft source and much greater potential for improved rotational stability. Furthermore, the larger graft size reduces the chance of re-injury, and stronger fixation allows for earlier rehabilitation and return to walking. Overall, the TLS® system represents a safe and effective technique for ACL reconstruction. It is a less traumatic surgical technique leading to less bony bruising and therefore less pain. This means an earlier return to work and or sports training for the patient. 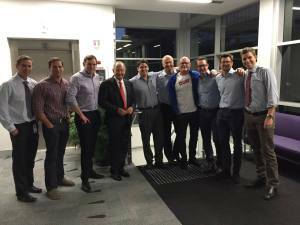 Dr Macgroarty has recently organised a patellar tendon ACL reconstruction workshop at MERF with world renowned Sydney surgeon, Dr Merv Cross. Dr Macgroarty had been talking with Dr Cross at last year’s Australian Knee Society when he mentioned that there were a number of local surgeons who had expressed interest in learning patellar tendon reconstruction from the “master”. Patellar tendon ACL reconstruction is an essential technique to be able to perform for any knee surgeon wanting to manage the entire spectrum of ACL injuries. The surgical “pearls” that Dr Cross was able to impart to all the participants will ensure that the results obtained by the patients are amongst the very best available when using this technique. 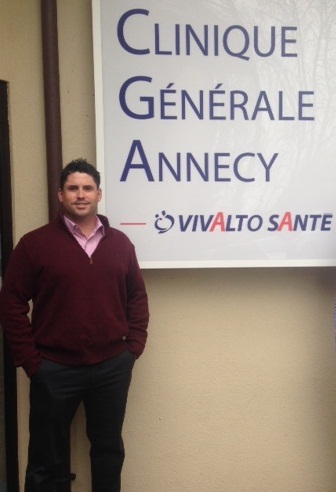 Dr Macgroarty travelled to France in January 2015 with Dr Price Gallie from the Gold Coast to learn more about a new ACL reconstruction technique that has athletes walking unassisted by three hours post-op. Physiotherapy rehabilitation can be commenced much earlier than traditional techniques allowing athletes a quicker head start on their rehabilitation programme post ACL reconstruction. The accelerated rehabilitation programme makes it possible for the athletes to maintain better muscle bulk and feel stronger sooner which greatly assists the treating physiotherapist. The new technique still utilises hamstring graft techniques which means that overall return to sport is still expected to be about 7-9 months post surgery. 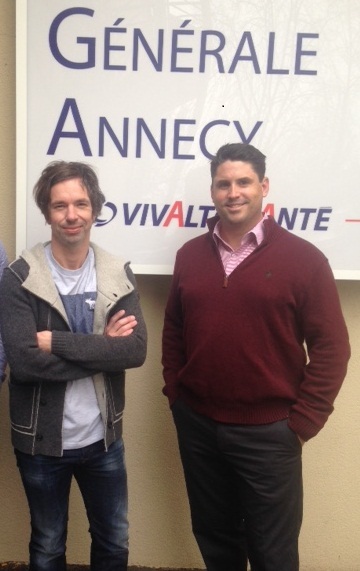 Dr Macgroarty assisted Dr Thierry De Polignac with several cases at the Clinique Generale Annecy using this new technique. He then spent time following up these patients with Dr De Polignac and the physiotherapists in order to learn more about this new rehabilitation method. Dr Macgroarty was invited to speak to the level 2 sports physiotherapists at their recent course at the University of Queensland held in November 2015. Dr Macgroarty discussed the new short graft hamstring sparing technique in ACL reconstruction as well as commenting on the role for ALL reconstruction techniques to augment ACL reconstruction in certain athletes. Dr Macgroarty presented his case series of hamstring sparing ACL Reconstruction at the 2014 Australian Knee Society Meeting held in Melbourne. Dr Macgroarty discussed the surgical technique used for the “all inside” short graft technique sparing one of the hamstring tendons normally used in ACL Reconstruction. In Dr Macgroarty’s series, 22 cases have been undertaken to date with promising early results. Dr Macgroarty outlined that further research is required to confirm the potential long term benefits of this technique. Dr Macgroarty is currently enrolling patients in a comparative trial looking at early post operative pain relief using the short graft technique with respect to conventional hamstring harvest techniques. He hopes to present his findings at next year’s AKS meeting. Dr Macgroarty was asked to attend as faculty at the SAWMH Sports Meeting held at the Brisbane Hilton Hotel on 23 August 2014. Dr Macgroarty shared his current experience with a new hamstring sparing technique for ACL Reconstruction. The new short graft technique has been shown in the literature to be comparable to current hamstring techniques for ACL reconstruction whilst showing several key advantages. Dr Macgroarty also discussed the current indications in his practice for antero-lateral ligament reconstruction to augment ACL reconstruction. The session was rounded off with a discussion of the Congruent arc Laterjet procedure and it’s role in contact athletes following shoulder dislocations and instability. Dr Macgroarty has started performing hamstring sparing ACL Reconstructions using a “short graft technique”. The advantages have been proposed with less donor site morbidity and easier rehabilitation. Sparing one of the hamstring tendons during ACL reconstruction is thought to increase postero-medial stability and offer better proprioceptive feedback during early rehabilitation. Dr Macgroarty is only the second surgeon in Australia to have performed a new technique in ACL reconstruction surgery. The technique which was developed in France still uses native hamstring tendons as a graft but achieves significantly thicker graft sizes compared to standard techniques. These thicker grafts are expected to improve rehabilitation after surgery without increasing morbidity. It is hoped that bigger grafts will reduce failure rates when patients eventually return to sport. Along with Dr Jim Fardoulys, Dr Macgroarty is using the new technique on selective patients and has so far seen pleasing early results. Further assessment of the technique is required and will hopefully be discussed at next year’s ISAKOS meeting in Lyon, France. Dr Macgroarty travelled to Copenhagen, Denmark to attend the recent Smith and Nephew Global Insights Knee meeting. Dr Bellemans from Belgium debated the merit of the antero-lateral ligament in ACL reconstruction surgery. There appears to be growing evidence that this is an important structure to consider in the setting of failed ACL reconstruction. In addition to intra-articular ligament reconstruction, there appears to be a place for extra-articular reconstruction of the ALL when undertaking revision ACL reconstruction. 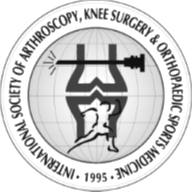 Of the many discussion points during the meeting, it was re-inforced that there is up to a 30% failure of ACL reconstruction (within 2 years) in patient’s under the age of 20. Dr Macgroarty presented the latest updates on ACL reconstruction at the BKSS physiotherapy educational evening in October 2013. Dr Macgroarty discussed the relevance of the Antero-Lateral Ligament and how it significantly influences the pivot shift both before and after ACL reconstruction. What is a pivot shift test and how significant is it?